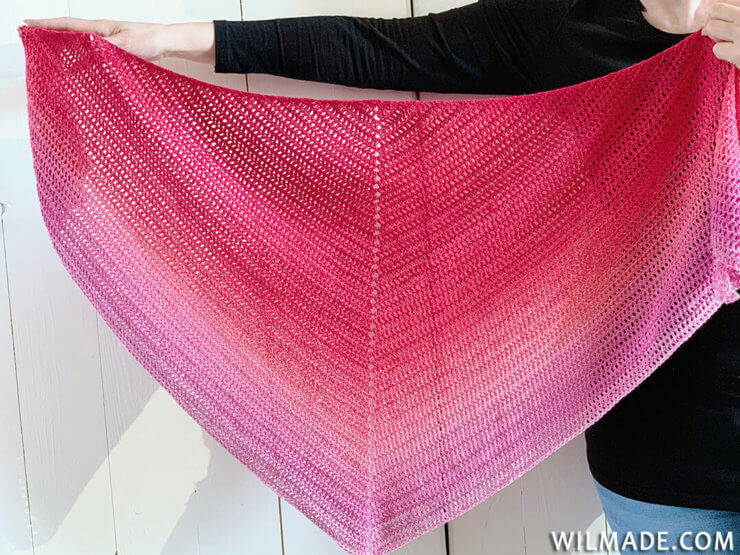 Today it’s time for an easy crochet shawl: the Double Crochet All The Way Shawl. 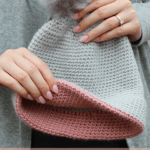 As the name already indicates, this beginner-friendly shawl is made with double crochet stitches. It’s a project without too much thinking and counting and is perfect to work on while traveling or watching Netflix. If you like, you can add fringes or tassels. The shawl also looks great as it is, without any additions. 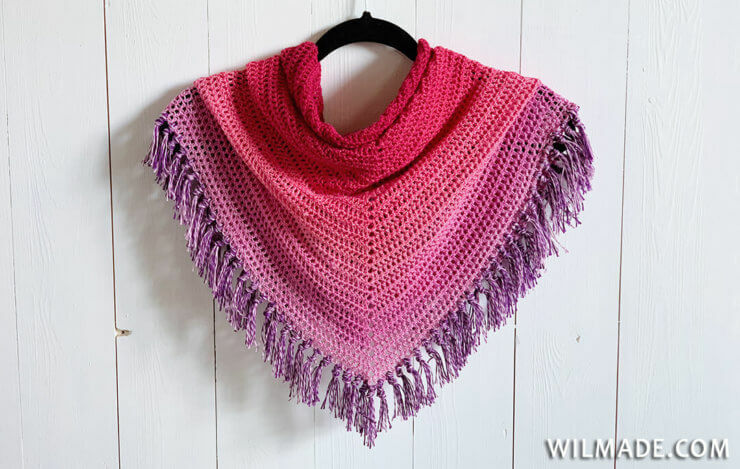 This easy crochet shawl is made with double crochet stitches. I chose a basic triangle shape, which means we make two increases in every first and last stitch and one increase in the middle of the shawl (to create a corner). It’s the basis I use for most of my shawl designs. 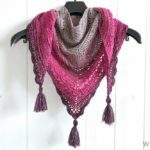 I decided to add fringes, but you can also wear the shawl without any fringes or tassels. 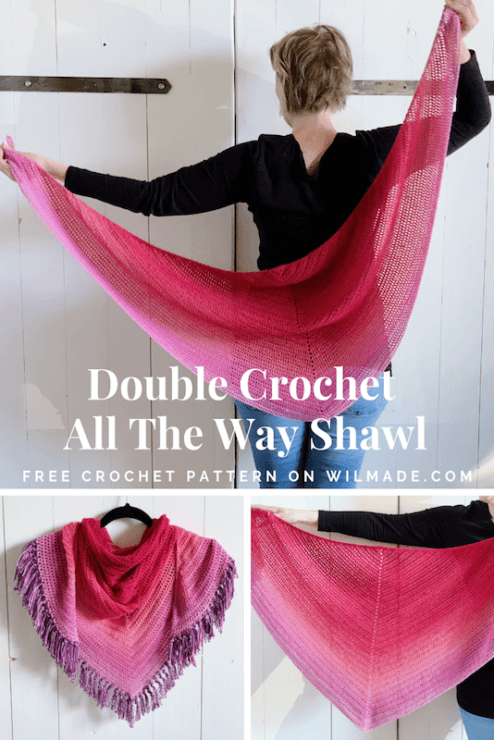 The Double Crochet All The Way Shawl is one of my easiest patterns. 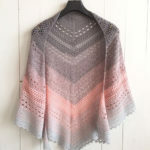 I’m working on a series op patterns which are super simple and beginner-friendly, such as the Never Ending Shawl which I published one year ago. I got many positive messages from people saying that they appreciate the simplicity of the Never Ending Shawl. I decided to work on more easy crochet shawl patterns using other shapes and stitches. For this crochet scarf I used a Scheepjes Whirl in color ‘Turkish Delight’. 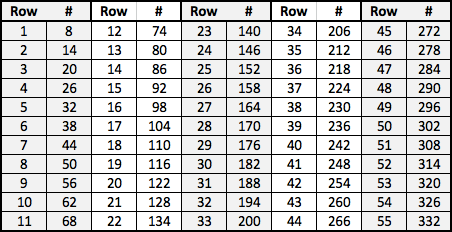 One yarn cake has a length of 1000m / 1094 yds and a weight of 220g/7.94 oz. I really love how the colors change in a very subtle way. It creates such a beautiful gradient effect! 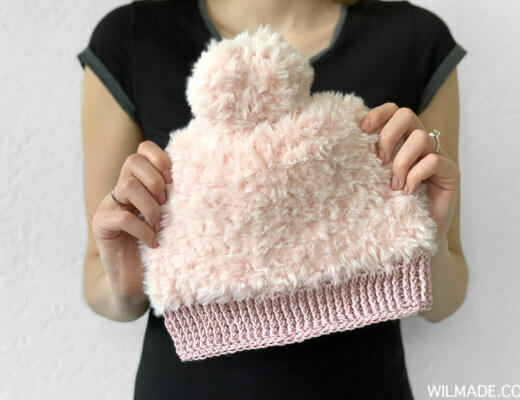 With this yarn you don’t have to worry about weaving in ends or picking color combinations at all. 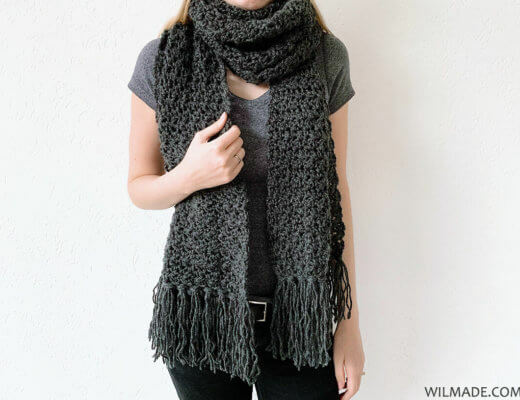 If you like, you can finish the shawl with fringes. 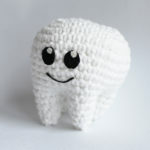 I added fringes to every second stitch. 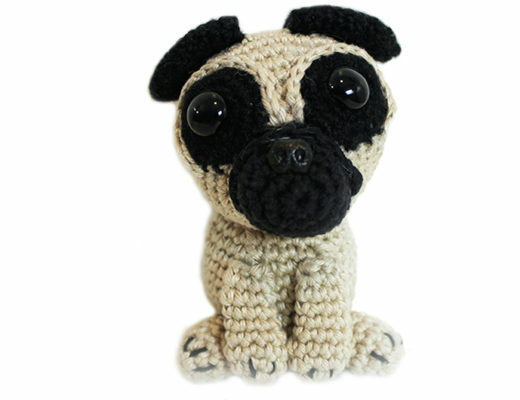 It’s easy to make, but takes quite some time. 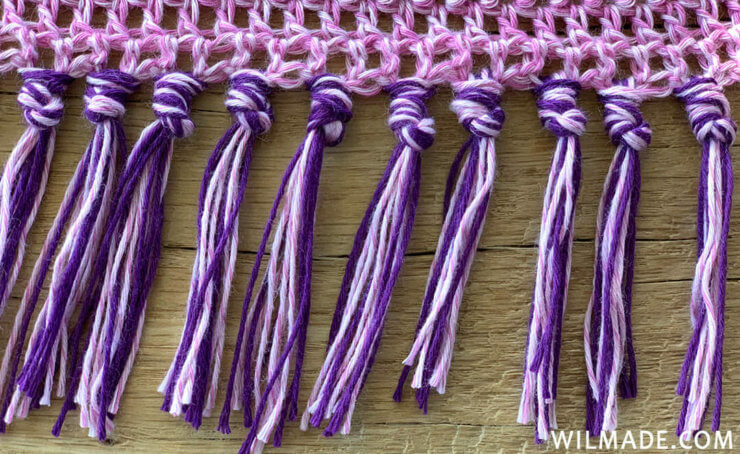 Another option is adding tassels to all corners of the shawl. Here’s how to make them. 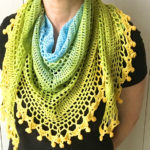 If you have any questions about this easy crochet shawl pattern or any of my other patterns, feel free to join my Facebook Group. I created this group for you to share pictures/ progress, ask questions and to help each other out. Your work is amazing! Patterns are very easy to understand! This is lovely, thank you for sharing your pattern with me. Very beautiful! Did you use the whole yarn cake?